India has successfully test-fired its indigenously developed supersonic interceptor missile Prithvi-II from a test range off Odisha coast. 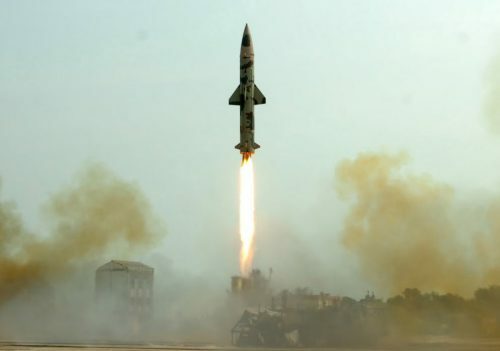 The missile was launched at 11.15 a.m. from the launching complex off the coast of Odisha.With a strike range of 350 km, the surface-to-surface Prithvi-II is capable of carrying 500 kg to 1,000 kg of warheads and is thrusted by liquid propulsion twin engines. The success of Advanced Air Defence interceptor missile test now strengthens India’s position in the very exclusive Ballistic Missile Defence club of the US, Russia and Israel.